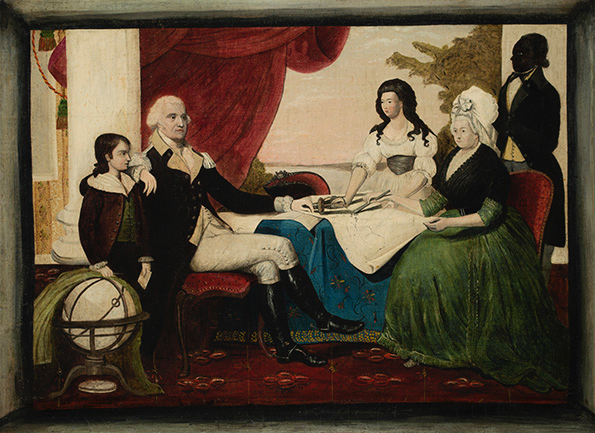 The Washington Family. Circa 1800. Oil on canvas. 20" x 27" (50.8 x 68.6 cm). After a painting and engraving by Edward Savage.